If you have been using Canon EOS camera, then you might have occasionally come across with error codes or messages that appears on the camera’s LCD screen. There are various EOS error codes such as Err 01, 02, 03, 04, 05, 10, 20, 30, 40, 60, 70, 80, Err 99, bu59 / bu54 / buSY / busy, No CF Card, Card Full, battery level is to low and many more. So, these are some of the EOS error codes and messages that you may normally get on your Canon camera. Fixing or repairing this error sometimes makes expensive bill (even more expensive than camera itself). But, do you know that most of these EOS error messages can be solved very easily and quickly. Well, below find out the several EOS error codes/messages and their repair solutions. You will definitely find the effective solution that will help you to fix your Canon camera problems and issues. Battery level is too low. Cannot clean sensor. Important Note: If following the respective solutions mentioned here does not fix your EOS camera errors or problems, then it is highly recommended that you must visit the nearest Canon Camera Service Center. When you get Err 01 on your camera, it means that the communication between lens and camera is not working. Solution: Very gently clean the camera lens and the electrical contacts (the area highlighted in red color) with the use of dry and clean cloth. Never use wet cloth to clean contacts. Never touch the contacts directly with hands. If you touch it with your hands then it will cause corrosion and thereafter you camera may become inoperable. Be careful while cleaning the contacts on lens side and make sure you do not damage the lens surface. You get this Err 02 message, because camera is not able to access or read memory card. Solution: Follow these solutions. In most of the cases it has solved the problems. Format the memory card as it is mentioned in the user manual (the manual book that you have received with your camera). You can also visit Canon official website to download user manual for your EOS camera. You can also use computer to format the card. If formatting card does not fix the problem then you must replace the card with new one. If your EOS digital camera showing you Err 03, then it means that there are lots of folders saved on the memory card. Solution: It is very simple to fix EOS error 03 code. Simply move the folders from your card to PC and then delete them from the card. 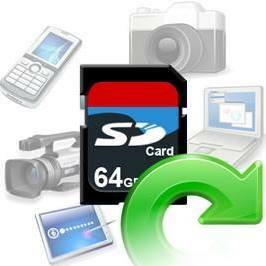 But if you do not want to delete folder from card, then simply replace the card with formatted memory card. If your camera is displaying Err 04 code, it means that your camera is not able to save photos because the memory card is full. 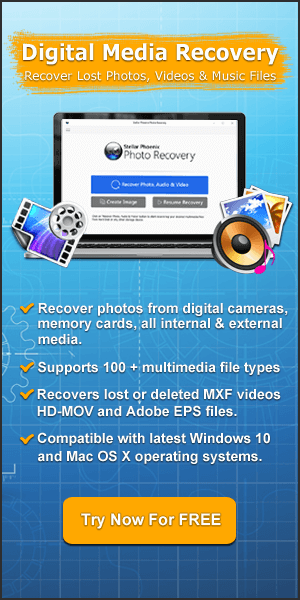 Solution: Delete unwanted photos/videos or other files from the card to free up the space. Or you can move all the photos on your computer/pen drive or on any other data storage devices and then format the card. It will help you to resolve this issue. When built-in flash could not be raised, then camera displays the error code – Err 05. Solution: The quick solution to fix err 05 is to Switch OFF the camera and then Switch it ON again. Solution: Turn the power switch to OFF and then turn ON the power again. This will solve your problem. Err 10 – A file system malfunction has been detected. Err 20 – A mechanical malfunction has been detected. Err 30 – A shutter malfunction has been detected. Err 40 – A power malfunction has been detected. Err 50 – An electric control malfunction has been detected. Err 70 – An image related malfunction has been detected. Err 80 – An image or electric control malfunction has been detected. Solution: The quick solution to fix Canon EOS error codes err 10/20/30/40/50/70/80 is to Switch OFF the camera, remove the battery out of the camera wait for 15-20 seconds and then re-install the battery and Switch ON the camera again. Hopefully, you will now not get Err 10, 20, 30, 40, 50, 70, 80. EOS camera err 60 displays – An error occurred preventing shooting, the lens movement may be obstructed. Solution: Check the camera lens is clear and make sure nothing is obstructing it. After this Switch OFF the camera and Switch ON it back again. Camera error code – err 99 is a general error and it can occur due to various different causes. Switch OFF the camera, remove the battery and then re-install it and then Switch ON the camera. If above solution fails, then gently clean the camera lens and the electrical contacts (the area highlighted in red color) with the use of dry and clean cloth. Gently clean the electrical contacts and flash with the help of using dry and clean cloth. In the film camera, the imaging element is in contact to the film. And if dust or dirt gets on this imaging element, then black spots gets recorded on that specific part of the image. Solution: In order to fix AC error message, you must clean the imaging element with the piece of cloth. Also make sure that while cleaning, you should connect EOS camera to your home power outlet by using the DC coupler. If you do not remove the battery while cleaning the imaging element, then your camera will display the cleaning warning message ‘AC’ on its LCD screen and it will not allow you to clean the imaging element. You can refer to the user manual that you have got along with the camera. You can also look for user manual for your EOS camera on the official Canon EOS camera support page. The flash is recycling. For example – If you shoot 30 pictures with flash at short intervals, the flash may stop working. This happens in order to protect flash unit. Or Continuous Shooting has taken place. It means that camera memory card is full and cannot continue to shoot. Or camera is connected to a PC, Mac or printer. Solution: If you press the shutter button halfway and if error message displayed on the Camera’s LCD screen or in the viewfinder, then allow LCD display to get turned OFF. This will give time for either buffer memory to clear or flash to recycle, allowing full use of the camera again. In case, if your camera is connected to Printer, PC or Mac, then simply disconnect the camera, before you try to use it again. Important Note: If your EOS camera display ‘buSY’ error message, then it is suggested that you must do not switch OFF your camera or else it may create issue with the EOS camera or memory card. If your camera is showing you error message “Battery level is too low. Cannot clean sensor”, then it means that battery is not able to provide enough power and hence it makes the shutter to close during the close of the shutter curtains and image sensor, and it may lead to possible damage to the image sensor. Solution: To fix this error message, you must use fully charged battery or you can use your home power outlet before you proceed to clean the image sensor. When you try to play back images that was taken with a non-Canon camera. The images have been moved to computer and edited or rotated and then it is transferred back to the memory card. Or memory card is malfunctioning. Solution: Transfer the images to PC and check if it opening properly. If you own multiple memory cards, format another cards and take some test shots. If the images are opening properly, then it is the card that is malfunctioning and it is responsible for showing this error message. To fix this problem, you can format the memory card as it is mentioned in the user manual. This warning error message is related to the date/time battery level. The date/time battery is responsible for maintaining the camera’s date and time. The CbC error message appear on the LCD screen, when the date/time battery power gets low. Solution: Change the date/time battery with new battery as the steps mentioned in the user manual. The image sensor is like the film in a film camera. If any dust or dirt gets on the image sensor, then it will display up dark spot on the photos. The mirror will lockup and shutter will get open and ‘CLEAn’, ‘CLn’ or ‘CCd’ will appear on the camera’s LCD screen. Solution: Switch OFF your phone and then Switch ON it again in order to automatically activate the sensor cleaning function. Now select ‘OK’ and press the SET The screen will display cleaning and your camera will make shutter sound, but no images will be clicked. When the folder number reaches 999 or when the image file number reaches 9999, this EOS camera error ErrCF, CardErr or Folder number full, appears even when there is enough memory is available on the card. Solution: Eject and re-insert the memory card. Use another memory card or transfer all the images from card to PC and then format the card within the camera. Your card will return to normal and you will not get such error. You can also replace the card with new compact flash memory card. When you install a new compact flash card, the folder number start with 100 and the image file starts from 0001. When your Canon EOS camera display following error message: FullCF, CardFull or CF Card Full, then your camera will refuse to take shot or record video. 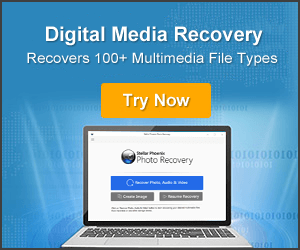 Solution: Transfer all the images from the Compact flash memory card to PC or any other data storage devices or you can also delete unwanted image form the card to free up the space. If above mention solutions fail, the simply replace the card with new Compact flash memory card. Canon EOS camera L error message appear when LOCK Switch is set to right and you try to attempt one of the locked camera controls. The error message appears on the camera’s LCD screen or in the viewfinder. And [LOCK] will be displayed on the shooting settings. Solution: The quick solution to fix L error message is to set the [LOCK] switch to the left and turn ON its functions. When you press the shutter button and there is no Compact Flash memory card installed. When you start the camera and there is no Compact Flash memory card installed. Or, when you try format the card and there is no Compact Flash memory card installed. Solution: In order to get rid of No CF/No CF Card/No Card in Camera error messages, simply insert the compact flash card (CF card) within the camera. Important Note: While fixing any of the above mentioned Canon EOS camera, if you lose your important images from your camera’s memory card (such as while formatting Compact Flash card or from any other cards, etc), then it is highly recommended that you must use Photo Recovery, in order to restore erased photos from Canon EOS Camera. 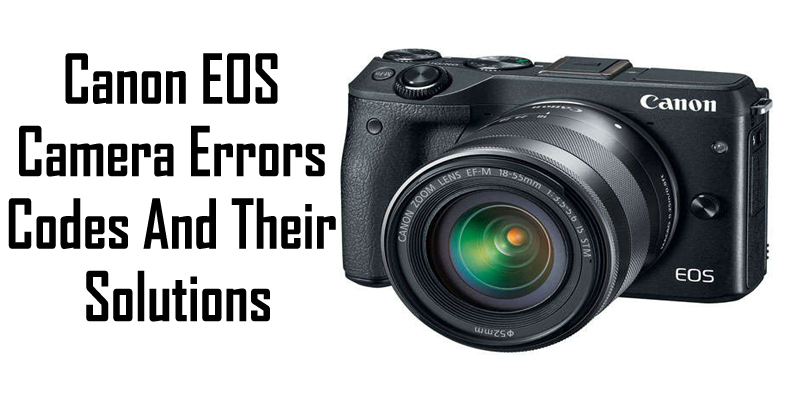 So, if you are getting any of the above mentioned Canon EOS error message, then you can apply the respective solutions to fix EOS error codes and messages. If you are not able to fix Canon EOS camera error codes or messages by yourself, then it is recommended that you must visit the nearest Canon Camera Repair Service Center. If your Canon EOS Camera display error codes/messages such as Err 01, 02, 03, 04, 05, 10, 20, 30, 40, 60, 70, 80, Err 99No CF Card, Card Full and more, then here find out Canon EOS camera error codes and their solutions.